Propane blow torches are used for many applications including soldering and fixing copper pipes. They are also popular in the kitchen, used by cooks to quickly melt foods. 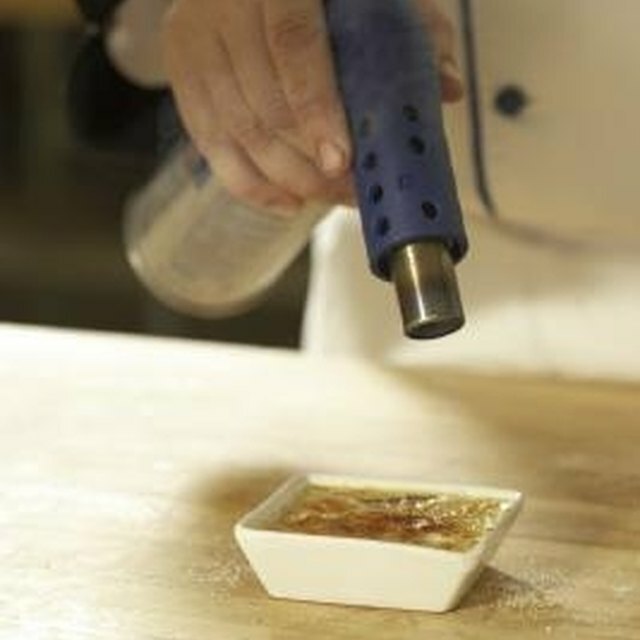 There are different types of propane blow torches, but they all serve the same general purpose. When following a few instructions, propane blow torches can come in very handy around the house, and operating them will be a piece of cake. Put on gloves and safety goggles for added protection. Pick up the propane blow torch. Stand over the object that will need to be sprayed, and hold the torch directly over the top of it. Move the nozzle so it is only a few inches from the object. Turn the knob about 3/4 of a turn to allow fuel to be released. Push on the lever to light the torch's flame. Place the torch close to the object, so that the end of the flame is touching it. Move from side to side to make sure you don't stay in one place too long. Continue around the area until the object is heated enough and the job is complete. Release the lever to stop the propane from coming out, and turn the knob to completely shut off the small propane tank. Make sure it has been shut off properly and there are no noises or smells coming from the tank. Different types of propane blow torches may operate differently. Refer to the manufacturer's manual for specific instructions. Use blow torches very carefully. They can get extremely hot. Always wear safety goggles and gloves when operating a propane blow torch.